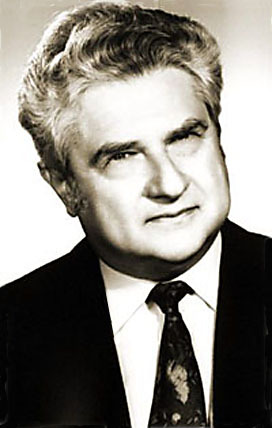 Ervin Acèl, Romanian born conductor and teacher, studied with Constantin Silvestri, Ion Vicol, Antonin Ciolan and Anton Ronai. From 1965 to 1992 he was Chief Conductor of the Oradea Philharmonic Orchestra, in which capacity he also acted as their Administrative Director from 1980 to 1989. Under his leadership the ensemble soon developed into one of Romania’s finest orchestras. From 1991 to 1999 he was the Director and Chief Conductor of the Szeged Philharmonic Orchestra. His performances had great popular success and during this period he presented a most eclectic repertoire ranging from baroque to contemporary music. Acél was a consummate master of the Vienna Classical Style, giving remarkable performances of the music of Haydn, Mozart, Beethoven, Schubert, Brahms and Richard Strauss. Possessing a fabulous conducting technique, an extraordinary artistic temperament and a refined sense for orchestral sound, balance and color, he was also an inspired interpreter of the Russian and French repertories. Ervin Acèl was an outstanding teacher of orchestral conducting, first organizing masterclasses for young conductors in Romania from 1983, in Hungary (Szeged) from 1992 to 1999, and in Austria (Vienna) from 1996. These courses became well known internationally, attracting numerous students from all over the world. Acel, a polyglot, established an easy rapport with the multinational groups of students, alternating with facility between English, German, Italian, French and also his two mother-tongues, Hungarian and Romanian. His method of instruction was deliberate and considerate and the results most impressive. He was greatly admired and beloved by his students, whom he called my children. From 1996, Acèl taught conducting at the renowned Vienna Hochschule für Musik und Darstellende Kunst in tandem with the Austrian conductor, Leopold Hager, until his death in 2006. During this period he also gave summer mastercourses in Vienna at the Wiener Musikseminar and also in Italy.